If you want to test your product, find somebody who has never had Pocket PC before. Why? When you see a "feature" for the first time, you cannot believe it. But after some time you think that flaws I will be describing are normal (at least you can live with them) and after some time you even think that these are normal features (this is where I'm). After you pair phone and handsfree, phone should discover and connect to handsfree automatically whenever I switch them on. With Blackstone I have to do that manually (Nokia does that for you). Presume that I'm expecting a call, both phone and handsfree are on and linked. It takes several seconds before sound/mic functionality is routed to handsfree. With Blackstone it works like this: you pick up the call, you use the phone normally (as without handsfree), after several seconds the sound is finally redirected from phones's speaker to the handsfree. After you pick up the call/call to somebody, display is sometimes automatically turned off for a couple of seconds and this "feature" can not fixed. Obviously there is a light sensor that should take care of this, but the display is turned off even if the phone lies on the table in front of you. What I typically do is that I call to the conference and than want to go on mute - but you the display is black and you can not use Mute button to do that. Screen rotation is switched off for all the applications except photos album and Opera. There is now way how to mark an application that it is capable of handling that. This problem can be partially fixed by Gyrator (rotation is allowed for all the applications). 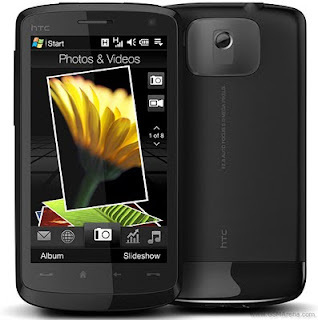 The official name of Blackstone is HTC Touch HD, therefore you would expect that you can use your fingers to use it, but you get a hybrid instead (this is why this "touch" phone has stylus). Keyboard (phone/compact/full) shows keys you press under your finger, therefore you don't know which key was actually pressed (compare with iPhone). Transition from TF3D to Windows and back is unbelievable. It is schizophrenia. From finger friendly environment to stylus environment and back. You may try to use nails :) in Windows, but sometimes you simply have to use stylus (the best test of your skills is alarm setup using fingers). Applications/task switching use also pretty unusable. The suggested way how to do that is to use the Programs panel (because at most one instance of the application can be run). Of course this doesn't work - for example Opera opens new tab. Therefore what you must do is to click Home hardware button, move to the Programs panel and click the target application icon. Fortunately there is a fix for this - TaskFacade (pattern that used for example by HTC Hero/Android). No battery status indication. To determine the status of battery go to Start, Settings menu item, System tab, Power icon. I fixed this using dciBattery. I also don't like Windows alarm system. There is no list of missed/snoozed alarms as you know it from Outlook or SonyEricsson. To find a missed alarm, you have to start with a balloon next to the Start menu, you click the ballon, then you get to the status screen, click alarms icon, and finally you can see alarms one by one (no list). Pretty complicated. If you download an (opensource) application, that is just extracted to the card, it cannot be added programs in the Start menu or Programs panel. Shortcut must be created first (otherwise it is impossible). But there is no way how to create a shortcut in Windows. You have to download an opensource tool that is capable of doing that. In my opinion this should be one of the basic utilities shipped with Windows. Order of favorite contacts in TF3D's People tab cannot be changed. It also disappear whenever you need to resync with the contacts with Outlook. This is what I still remember. I fixed several problems already and some of the flaws became features ;) Hopefully somebody will find this list useful.